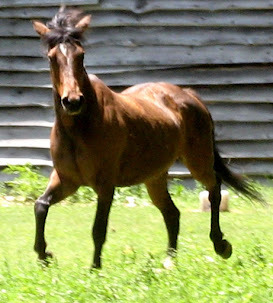 Naturally - be sure you know your horse well and know how to canter - though I know that you are smart enough to know that so my apologies. 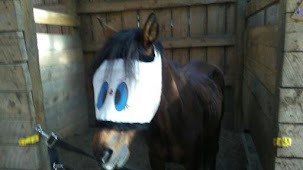 So you want to gallop but you are pretty nervous about it. Either you have never, ever galloped in your life or you have never, ever galloped the particular horse that you are riding. 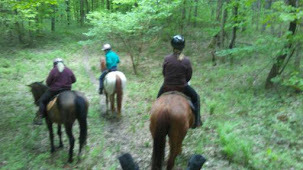 One of the better ways to do this, I think, is to follow behind a person/horse that you absolutely and completely trust. 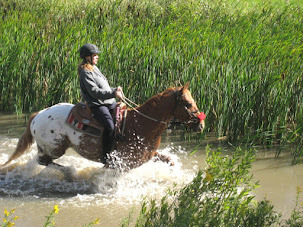 Have the lead horse/rider gallop for a short spurt at a time so you get a bit of feel for it. Later, , increase the distance when you feel more comfortable. 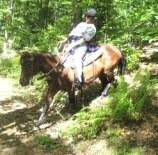 If you ride alone and are comfortable with the horse you are on, gallop him uphill - the top of the hill or incline has a "natural" stop for the horse as a rule. 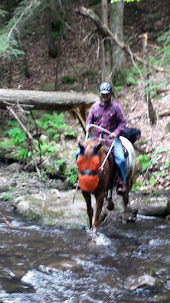 This is where I first gallop a horse that I haven't galloped before in order to to check him out ---- - as in buck or go nutsy crazy. 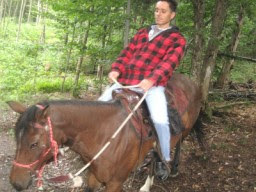 What I would NOT do is first gallop him in an open field - no way, Jose! You can also gallop in an arena - you are in a controlled environment, more or less, going in a large oval, but again it would be a good idea to have someone you trust in front and no one else in the arena.